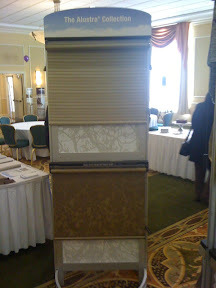 We already know and love Hunter Douglas' blinds and shades. After spending the day with their expert staff I realize there is so much new and exciting items to use and share. 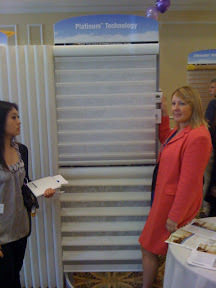 Alustra is the epitome of quality and design for windows. Take a look at Susan and Cindy examining the new fabrics and improved pulls.